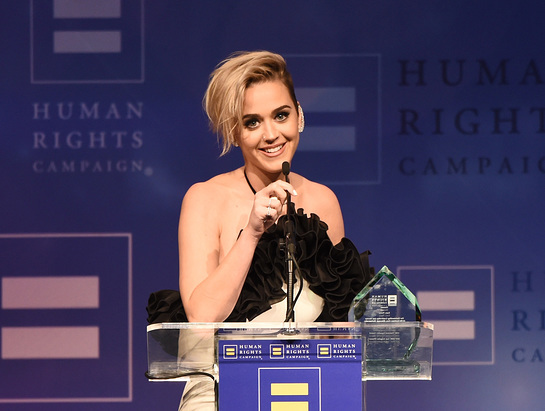 On Saturday, March 18, Human Rights Campaign (HRC), the nation’s largest lesbian, gay, bisexual, and transgender (LGBT) civil rights organization, honored global pop icon and longtime equality advocate Katy Perry with HRC’s National Equality Award at the 2017 HRC Los Angeles Gala Dinner. Groundbreaking actress and LGBTQ advocate America Ferrera was recognized with HRC’s Ally for Equality Award. Ferrera was presented with the award by Lena Dunham, actor, writer, director, creator and star of HBO’s GIRLS and co-founder of LennyLetter.com. U.S. Senator Tim Kaine, (D-VA), was the featured speaker at the gala, which also included a musical performance by Troye Sivan. 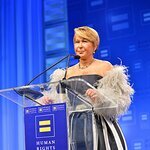 Among the attendees were Event Co-chairs Jessica Bair, Christopher Boone and Travis Dina-Pham, HRC President Chad Griffin, and Honorees Katy Perry and America Ferrera. Keynote Speaker Senator Tim Kaine, Performer Troye Sivan, Presenter Lena Dunham, and additional special guests including Mayor Eric Garcetti, Antonio Villaraigosa, Shawn Balentine, Nichole Bloom, Raymond Braun, Charlie Carver, Max Carver, Jason Collins, Jonathan del Arco, DJ Young 1, Jordan Doww, Leon Else, Scott Evans, Kyle Fritz, Nats Getty, Gigi Gorgeous, Dana Goldberg, Bob Greenblatt, Amy Landecker, Mario Lavandeira, Camryn Manheim, AJ Michalka, Tyler Oakley, Cheri Oteri, Peter Paige, Martha Plimpton, Aaron Rhodes, Austin Rhodes, Nico Santos, Sherri Saum, Carol Shaya, Jonathan Slavin, Yeardley Smith, Jacob Tobia, Jill Whelan, Bradley Whitford, Shannon Woodward, and many more.